Discover how Method:CRM can help your team easily manage customers and sales reporting. How do you generate sales reporting that truly helps you understand your business’ performance? QuickBooks is a great way to collect sales data, but when it comes to providing insight on your customer relationships, you need CRM data. How many opportunities were there to close a deal with your best customer? How often was your sales rep communicating with them? This is all important information that you can’t access in QuickBooks. Increasing sales isn’t just about hitting revenue and profit targets. Your sales report should help you understand how to build lasting customer relationships. It’s equal parts science and art, so filling those gaps left behind from financial transactions and summaries helps you where it matters most: the bottom line. We aren’t one to make assumptions, but it’s safe to say we’re all on board with more robust sales reports, simplified data generation, and boosting sales, right? So, how do we get there? Glad you asked. How much sales reporting can I do in QuickBooks? With QuickBooks transaction data, you can quickly generate basic sales reports to see profits, revenues, and invoice summaries. It’s also a great way to get an overview on your sales by reps, as well as a history for individual customers. As we’ve spoken about before, QuickBooks has some limitations, and that applies to sales reporting as well. 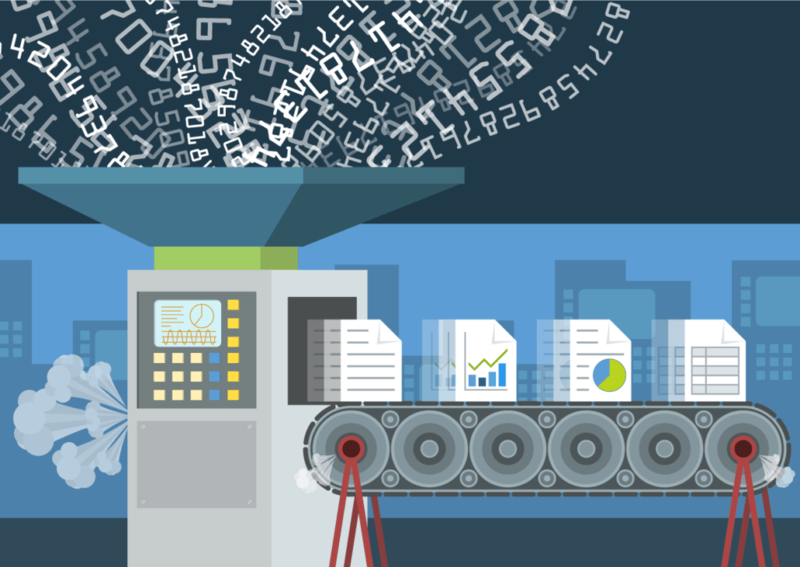 While their reporting can provide you with the sales numbers and raw data, that’s not always everything you need. Sales isn’t just about the revenue and profits your business generates. It’s about taking advantage of opportunities with your clients, and putting your sales data to work. While QuickBooks does collect that data, it doesn’t help with identifying those opportunities. How can I connect the dots? 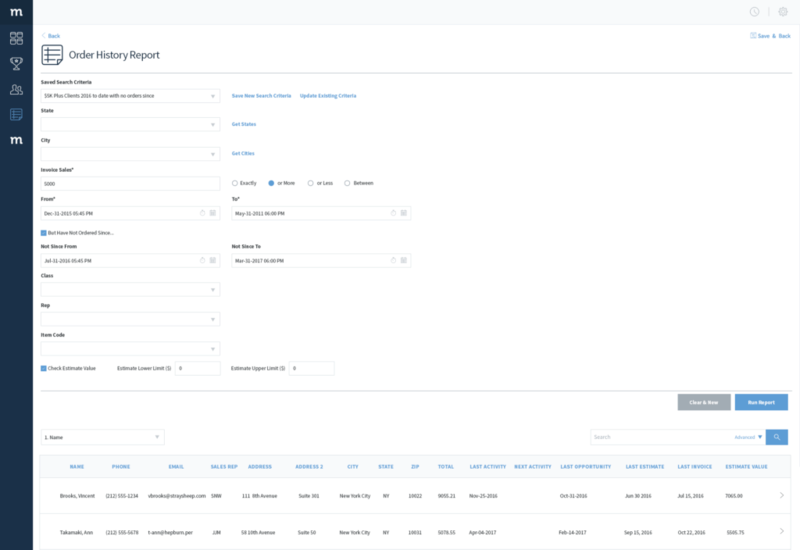 How do you connect your sales data – all those invoices and orders, with missed opportunities, hot leads and sales rep activity? For starters, you need to export your QuickBooks data into a CRM that easily manages your customers and offers powerful sales reporting. This is where Method:CRM connects everything together. Method fully integrates with QuickBooks, and allows you to create fully customizable sales reports with any data of your choice. As a result, you can dig deeper into top-level financial transactions and analyze sales alongside any CRM data, including opportunities, sales rep activities and much more. You can also create custom tags and categories to keep track of any relevant customer information, like where you met, previous discussions, or just about anything else you want to add in. How do I customize my sales reports in Method:CRM? Method:CRM combines specific sales data from QuickBooks with customer information from your CRM, and generates totally customized sales reports filled with actionable insights. You can tailor the design, format and content of those reports, empowering your sales team to quickly pull any information they need to better serve your customers, and ultimately, increase sales. 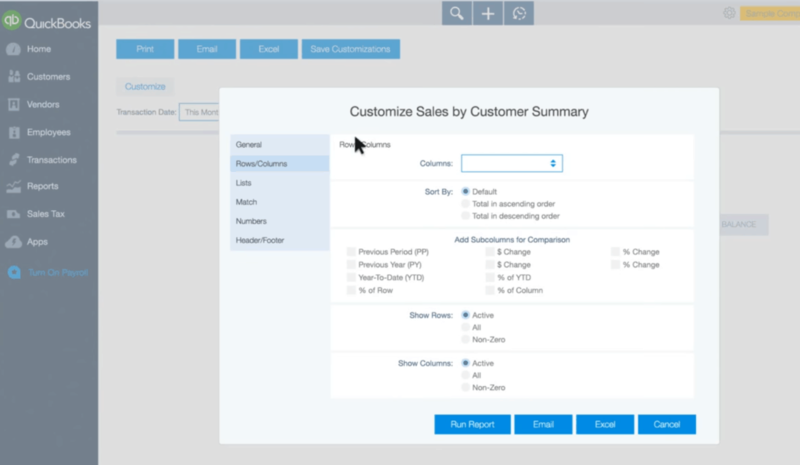 Wondering what a customized sales report looks like? Manufacturers and wholesale distributors who focus on inventory can integrate item codes from QuickBooks and filter date periods, geography and more, to get a summarized view of customer orders. This includes a detailed summary of invoices, estimates and interactions with sales reps by customers. Customers can work with Method’s Customization Services team to develop sales reporting that is tailored exactly to your business’ needs. Ready to get more comprehensive sales reporting? In sales, you know that timing is everything. Rather than having your sales team sift through raw data, Method:CRM provides your business with reports that identify opportunities, so you can efficiently build client relationships, and make sales. Get started today with a free 30-day trial of Method:CRM to see how our integration with QuickBooks can help your business. Your Free Trial Includes a Free Demo and 1 Free Hour of Customization.